Chris has been in the commercial building industry over 27 years. As a commercial refrigeration mechanic for 15 years, Chris has worked with single and three-phase electrical systems, heating, air conditioning, and refrigeration systems. In addition, Chris has installed/repaired commercial roofing and plumbing systems. Chris has been performing full commercial building assessments (PCA’S) since 2002. 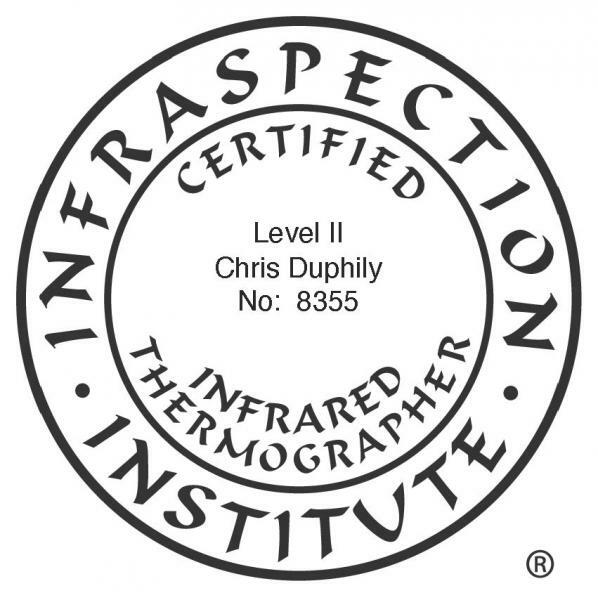 Chris has been a thermographer since 2009. He is currently certified as a level II Infrared Thermographer. His clients have included Saint–Gobain ABC/Warren /Amplex Superabrasives , Saint-Gobain Certainteed roofing division, Buffalo Wild Wings, Bloomsburg University, Turkey Hill Dairy, local investors, doctors, civil engineers, HVAC and electrical contractors, and builders. Chris specializes in forensic inspection of roofing, electrical, foundation and mechanical systems and is a professional that is relied upon by other professionals. Chris is a board certified member in good standing with the National Association of Commercial Building Inspectors and Thermographers™, and abides by their stringent entrance requirements and code of ethics when performing Property Condition Assessments based on ASTM E2018-08. Co-Author Infraspection Standard for infrared thermal imaging of installed photovoltaic panels (solar panels). Seven years experience in Thermography including Flat roof thermal imaging scans, Building envelope scans, Insurance required electrical infrared thermal imaging scans, Radient floor leak detection, Moisture infiltration detection, Solar panel infrared thermal imaging. Ten years experience in commercial building construction consultant and inspections.